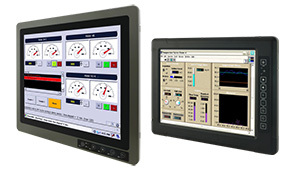 In environments where ruggedness, screen size, intelligent communication, and fast, reliable data collection matter, Winmate offers the intelligent, display solutions to meet your industry's needs. 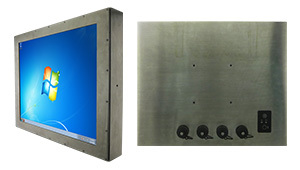 From oil and gas to food processing industry, warehouse and cold –storage room, Winmate’s advanced, display technologies increase efficiencies and are built to withstand even the harshest environments. Note that Winmate offers the Rugged Display/PPC with two versions, one that's sealed to the IP65 level, and the one described here that carries full IP67 sealing. What do the ratings mean? The "6" means both versions are totally protected against dust. It's the highest solids rating a device can get. The second number indicates protection against liquids. A "5" means the device is protected against water sprayed from all direction, with limited ingress permitted. That's generally good enough if a computer is just occasionally subjected to rain or splashing, but it wouldn't do in a marine environment and in other settings where it can get very wet. The "7" in IP67 means the device is actually protected even when immersed in as much as one meter (3.3 feet) of water. The extra protection means some compromises as it is not possible to offer the full complement of standard I/O that's usually present in a Display/PPC. So whereas the standard Display/PPC version offers a normal I/O panel in its back, the IP65/67 version has special waterproof type of connectors with screw-on caps.